Ranking organically in search is the ultimate form of inbound lead generation. A common lament heard in business circles is that search engine optimization (SEO) is dead, it no longer works or it just cost too much to get results. All three statements couldn't be further from the truth. Sure, paid ads are a quick way to show up at the top, but most savvy searchers bypass the ads at the top and opt to click on the first few organic results. Many so-called "SEO Experts" are giving up on the tried-and-true SEO tactics in favor of other avenues, such as social media, to direct relevant traffic. While social media has its place in an online marketing strategy, nothing truly helps boost lead generation like a strong SEO plan and solid rankings. Every business needs to take advantage of the potential results they may achieve by doing what it takes to compete and start collecting that low-hanging fruit of new customers finding them on the web. search engines for related searches may seem inaccessible, but there are some strategies that can help. SEO methods have been around since the creation of search engines, but the algorithms that rank websites have changed quite a bit from those days. Because the original algorithms created to rank websites on SERPs was easily manipulated, constant changes were made to increase the complexity of the algorithms and weed out SPAM websites that delivered little to no value to users. The constant evolution of these algorithms has made it a real necessity for every business to have a serious, ongoing SEO strategy. As business owners, you know that worthy achievements rarely come without deliberate and concerted efforts. The good news is that there are some basic, on-page SEO tactics that can deliver real results in today's competitive internet landscape. The foundation of ranking well with a website should center around a list of words or phrases that are targeted to rank well. These keywords should be relevant to the business, brand or service. It helps to have a specific keyword or phrase in mind for each and every web page that is created. For example, you could have a separate page for products such as "air conditioning," "furnace" or "heat pump," focusing the keywords in each page around the specific type of comfort solution. The keywords or phrases that are targeted will ultimately determine the focus of the content, meta tags and the architecture of the website. Long tail keywords should be highly valued, as they give businesses a better chance at reaching customers close to a point-of-purchase. 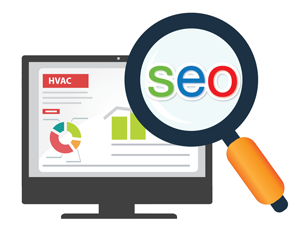 Instead of trying to rank for generic terms like "HVAC" or "Heating" which are heavy in competition, using long-tail keyword phrases such as "Heating and Cooling in Western MA" or "East Orlando Air Conditioning" is a better option. Being more specific with keyword phrases will yield less competition and higher results for the pages. Plus, potential customers who use these more specific terms in their search are more likely to convert into a paying customer. Meta tags, or meta data, are inserted into the code of a page to help search engines determine what a web page is all about. Many website content management systems, such as Wordpress, have a plugin that can be used to easy fill in, change or update this meta data all in one location for those business owners who aren't familiar with HTML coding. There are several types of meta tags that can play a role in how well a site ranks in search engines, including title tags, description tags, alt, and keyword tags to name a few. Title Tag. The title tag is the text seen at the top of the browser bar when a web page is displayed. The key to an effective title tag is to use a keyword-specific title that tells both search engines and users what the page is about. Keep this to 60 or less characters and use every word wisely. It is all about matching the words that potential customers use when searching. Meta Description. This is a brief, 160 character description that includes some keywords and a general idea of what the page content is about. These descriptions are often used by Search Engines and they can show up under the results link. They also may be modified automatically to match the search query. Keyword Tag. Fill in the keyword tag with words or short phrases deemed to be relevant to the page being created. Separate each word or phrase with a comma and add 8 or less keywords or phrases in total. This tag has been devalued, but we still advise including it in the mix and feel that it is still worth completing. Photo Alt Tags. Each and every photo on a website provides an opportunity to add an "alt tag". This is a great place to add in specific keywords or targeted locations that can help boost rankings for those search queries. So, if a photo is of a "HVAC Technician charging refrigerant at a home in Farmington CT," that should be the alt tag. Heading Tags. These tags should be used throughout the content of every page or blog post to separate long blocks of text and separate headings or subheadings from paragraph text. There are six header tags that can be used — H1 through H6, with H1 tags being given the most weight or importance. At the top of every page, include an H1 tag that will tell search engines what each page is about. Search engines compare the keywords found in the Header Tags with the associated content looking for relevancy and keyword consistency. These headings also serve to provide an enriched user experience making the content easy to read and follow. Other SEO strategies like placing internal links (these are links to other relevant pages on the website) throughout the website, creating local citations links, building high-quality organic backlinks from other strong websites, and always keeping the content fresh and up-to-date are of equal value to the actual content on any site. Although the SEO landscape is always changing, many of the tactics we've discussed have stayed tried-and-true, year after year. 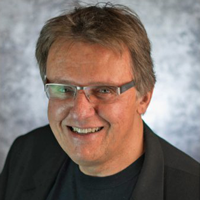 Frank Motola, founder and president of Brandtastic, has worked on the web since 1997, and has been devoted to marketing his entire career. He loves to demystify what it really takes to get better results on the web for business owners. For additional information, visit brandtastic1.com.